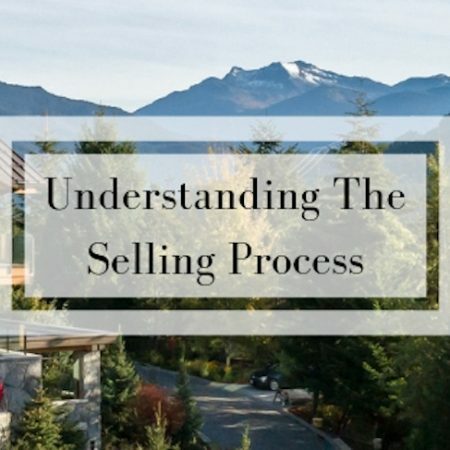 Understanding The Selling Process - Whistler Real Estate Ltd. Selling a property in Whistler can often be a fairly short and seamless process, however, market conditions always play a big role. As Whistler operates in very much a micro-climate, it can be hard to position your home without working with a local, knowledgable Realtor. Once you have decided to sell your property, the first step is to engage the services of a Realtor. They will assist you in analyzing the market and securing the best possible price. It is important to outline your goals from which your agent can develop a sales strategy for your property. This will enable them to better position your property within the market and determine how best to price, negotiate, and market your home to buyers. Your Realtor will analyze current market conditions and look at comparable listings and sales, while taking into account any unique selling factors of your property. They will then price your home based on your sales goals and provide recommendations from their analysis. The next stage is marketing and preparing for buyers. Your Realtor will take care of marketing, showing your property, arranging open houses, and dealing with buyers’ agents. They will also advise on any necessary preparations you need to make to get the home ready to show. We always recommend de-cluttering as much as possible and if your budget allows, hiring a professional home stager to really make it stand out. Your Realtor will organize listing pictures and utilize any other strategies within their arsenal, such as a property tour video or virtual walkthrough. Once you receive an offer on your property, your agent will negotiate on your behalf in order to secure the best possible price and terms to meet your goals. They will communicate with you throughout this process and ensure that everything is still in line with your needs. Offers are always subject to common terms and conditions set by the buyer, for example, passing a home inspection, and securing financing. Once these terms are met they will be removed from the contract and make it firm and binding. After this, you have successfully sold your property! There are a number of costs and fees associated with the sale of a property and it is important to know these going into the process. Be sure to speak to your agent upfront about their selling fees. For more information on selling your property in Whistler, get in touch with one of our full-time, local agents!